The Flail Mower is the heaviest-duty mowing attachment in the BCS fleet. 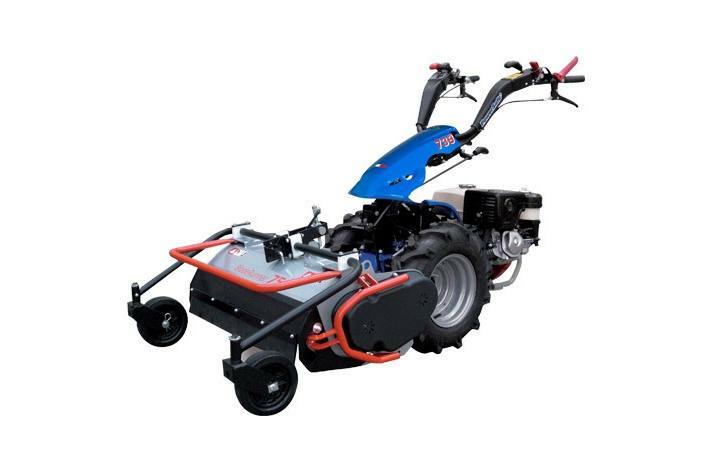 Capable of mowing in the toughest conditions, the Flail Mower has vertically rotating 'Y' blades that pulverize plant material into a fine pulp that is evenly spread across the mowing width. 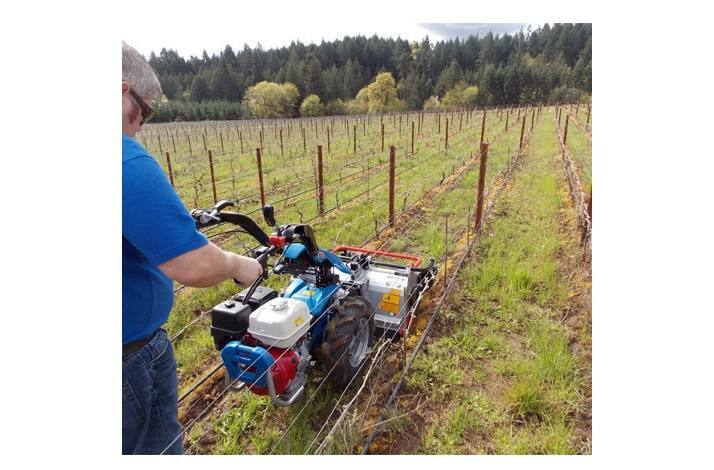 The Flail Mower's front bulkhead is designed for lifting itself depending on the flow of material to be worked, which can be thick brush, vines and saplings. 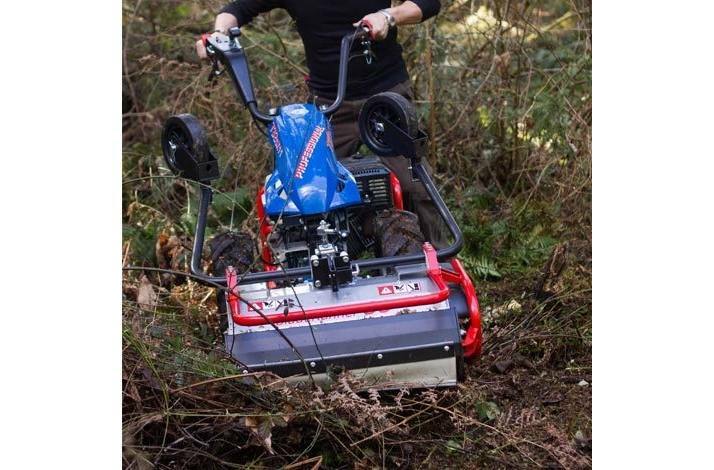 Like the Brush Mower, it can mow anything it can bend, including saplings. A convenient control handle sets the cutting height from ½'' to 4'', and retractable caster wheels allow for easier handling and transport. 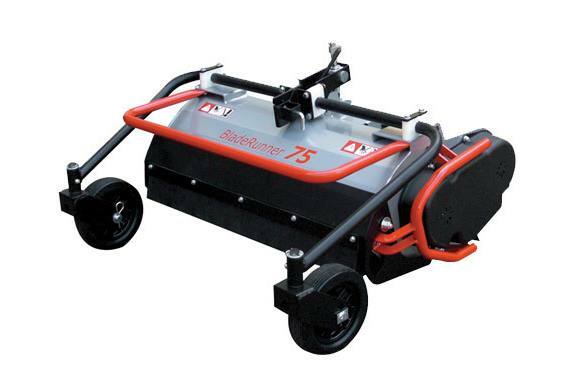 The mower rides on special side-mounted skids made of boron steel. 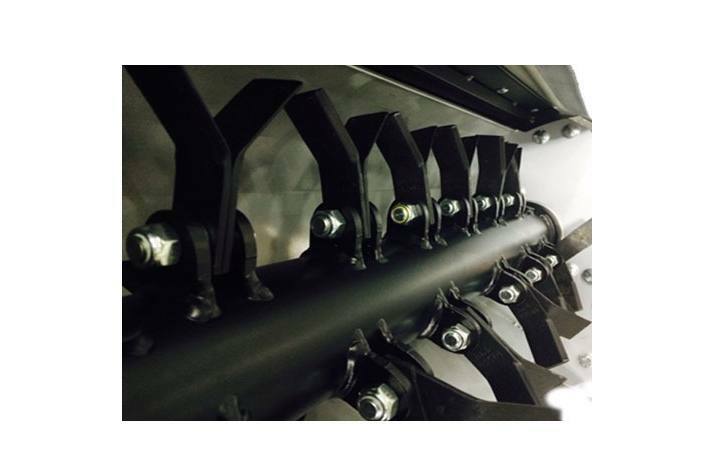 Check out the additional Flail Mower Accessories which can be installed to improve specific applications. 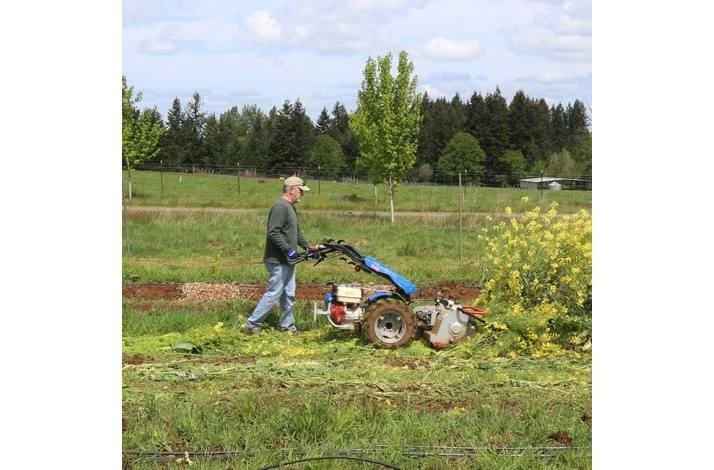 Accessory Note: Model 722 requires 5'' x 10'' wheels to operate the 24'' Flail Mower. The 722 is not a recommended tractor to operate this attachment due to its straight axle. Dozens of vertically swinging 'Y' blades. 24'', 30'', or 35'' working widths. 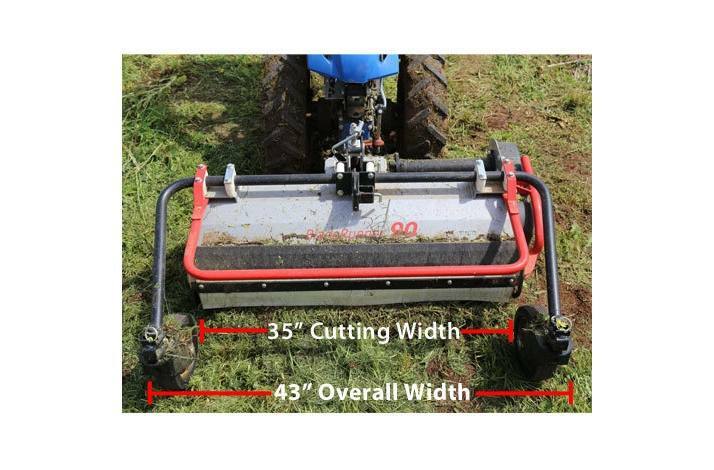 NOTE: The overall widths of each mower should be increased a total of 7'' to account for the caster wheels and belt cover. Convenient control handle to set cutting height from 1/2" to 4". Adjustable and retractable caster wheels. Automatic opening and closing front deflector. Oil bath input gearbox with grease fittings on ball bearings. Optional anti-skid rollers and lawn mower "scoop" blades available.